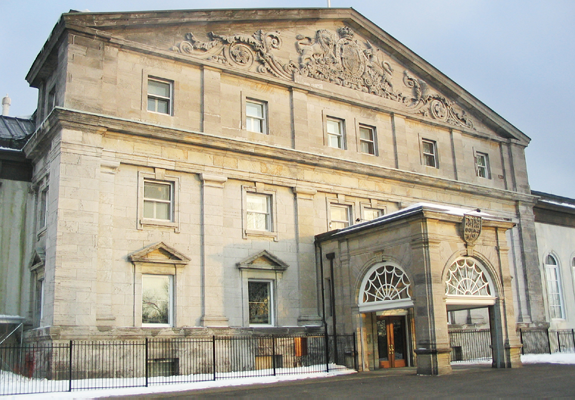 Rideau Hall, built in 1838, is the official residence of the Governor General of Canada. 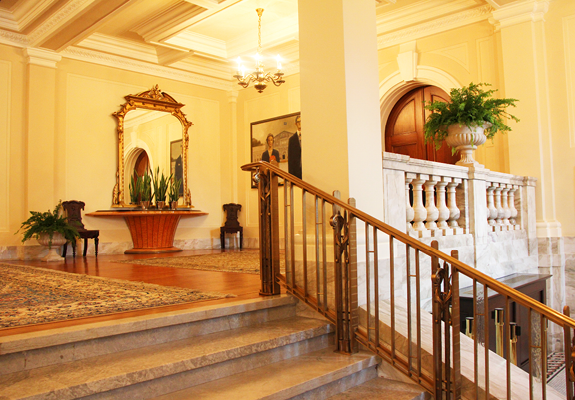 The Mappin Wing was added in 1913 as the ceremonial entrance to the building. 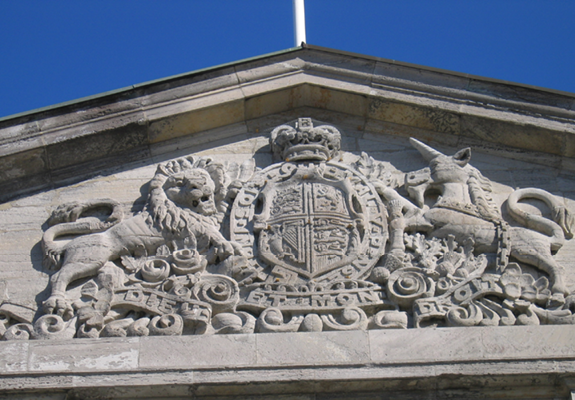 The facade of the Mappin Wing was extensively deteriorated over time and EVOQ was mandated to restore the exterior masonry and windows. 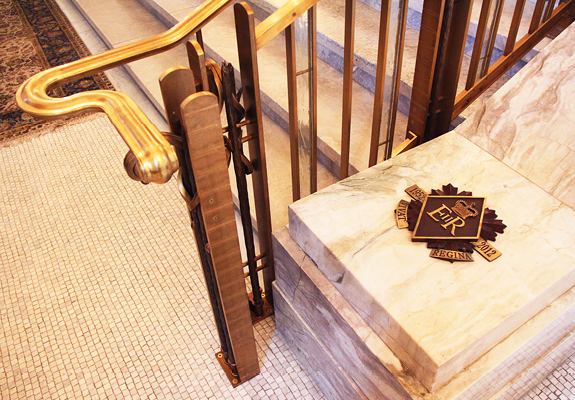 In the front entrance, a sculptural handrail was created in commemoration of the Diamond Jubilee of Queen Elizabeth II. EVOQ designed the striking new feature, weaving symbolic Canadian themes into a contemporary design that seamlessly integrates with the Edwardian interior. 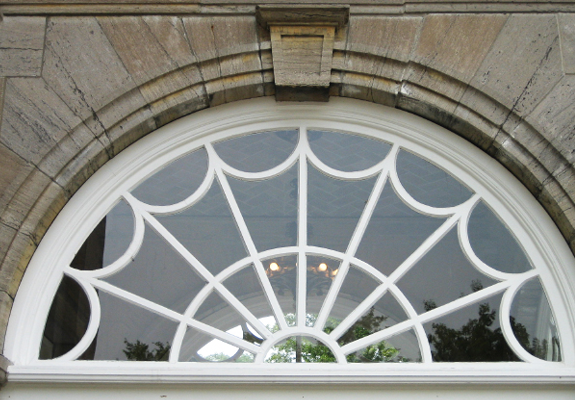 The award-winning project was successfully implemented around the ceremonial calendar of Rideau Hall. 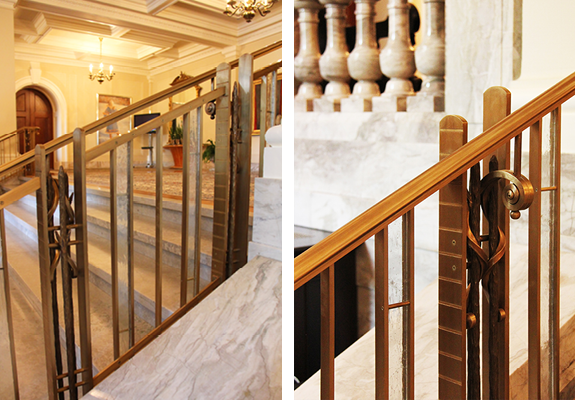 North American Copper in Architecture Award – Rideau Hall Front Entrance Handrail, Copper Development Association Inc.